Excellent fit and the quality cannot be beaten. Not a slim fit at all. Very baggy. Response from Charles Tyrwhitt: It's a real shame that these suits were not an ideal fit for you. While our Slim Fit suits do offer a much slimmer cut compared to the Classic Fit, we do also offer an Extra Slim Fit suit for those customers who require something even more 'tailored'. Please do have a look at these on the website, and be aware that having your suits altered by a third party will affect your guarantee with us. 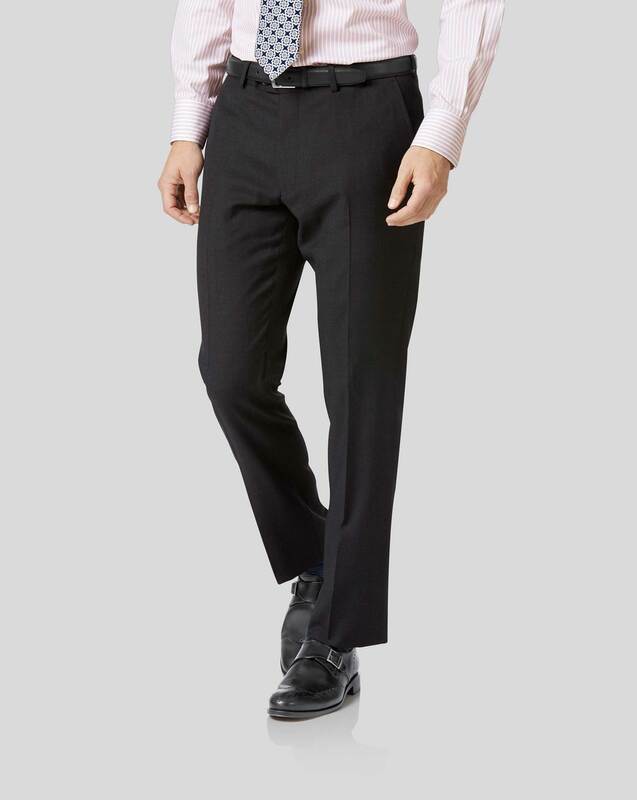 Response from customer: Having tried the trousers in one of your shops the fit did not appear as bad however only able to try a 38 inch leg which hardly represents. I can only suggest you use the same trouser for a short as a long and in shortening you loose the tailored end of the trouser leg. I have purchased an extra slim fit suit from you too if you will look and that isn't slim fit either. Very disappointed in your policy as I am hardly going to purchase a 38 leg am I! Suppose I could have used the offcuts for another trouser! Response from Charles Tyrwhitt: I am sorry to hear that you have been disappointed with your recent purchase. I would suggest perhaps purchasing the shortest leg length we have available wherever possible, and then altering to your chosen length, as you do not have to select our unfinished length as we can alter any size. I agree that to shorten from 36 inches to 28 would lose a lot of the tapering in the lower leg; you can of course always return any trousers to us, and exchange for a shorter altered leg. We can accept back any altered items as long as the alterations were completed by us, and please keep in mind that our stores can also tailor items further to suit, so you can return your trousers to store and exchange for new tailored pairs.